ODAY, LISTEN ONLINE to a Festival of Nine Lessons and Carols from Our Lady of Atonement Catholic Church in San Antonio, Texas. 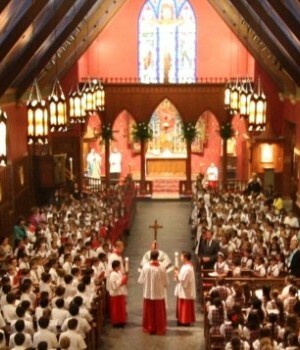 Our Lady of the Atonement was established in 1983 as the first Anglican Use parish in the United States. •	Directed by Edmund Murray, this will feature the Parish Festival Choir, the St. Cecilia Youth Choir, St. Nicholas Children’s Choir, and the St. Augustine Boychoir.